We’re just two weeks away from the best week of the year for anyone who loves food and is lucky enough to be in Miami. Food Network & Cooking Channel’s South Beach Wine and Food Festival is back for its 18th year. The food-filled weekend made up of dozens of events, celebrity sightings, and more food and drinks than you’ll find in one place all year long. Navigating your way through the list of events can be overwhelming even for veterans of the festival — so we did some of the hard work and picked an for each day that we think are totally worth the ticket price. Who doesn’t love a late night party with drinks and bites by some of the best spots in Miami while overlooking Miami’s gorgeous skyline?! It’s no secret that The Wharf is one of the hottest places nestled on the burgeoning Miami River, and we’re taking it over for the Festival to provide a truly signature SOBEWFF-style experience. Culinary explorer Adam Richman, host of Man Finds Food on Travel Channel, will serve as the evening’s guide as the Festival teams up once again with the same team that brings you DRINK Miami for a uniquely crafted cocktail experience. The Wharf will be transformed into a cocktail haven of award-winning bars as we team up with Miami’s best to showcase what makes them world-class and internationally-acclaimed bars. 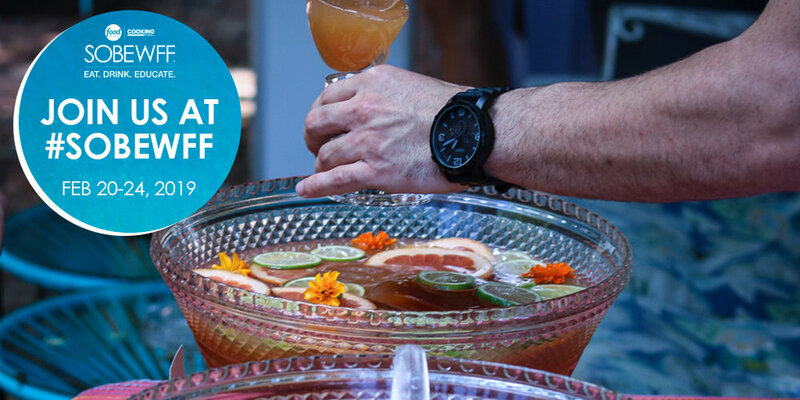 DRINK Miami will take attendees on a mixology journey unlike any other, complemented by rosé from The Palm by Whispering Angel and bites from the lip-smackin’ food truck line-up of Mojo Donuts & Fried Chicken, La Santa Taqueria, Spris Artisan Pizza, and more. Explore perfectly prepared classics and signature cocktails by some of South Florida’s top mixologists as they takeover this downtown Miami hotspot while guests enjoy bites and live music on the Miami River. Mangia after dark at SOBEWFFⓇ! Diners from near and far rejoiced when iconic South Beach restaurant Casa Tua opened its more casual outpost Casa Tua Cucina in Brickell City Centre earlier this year, and we’re giving you the chance to enjoy its most exclusive experience yet. Join Marc Murphy, the highly energetic and friendly judge on the hit primetime series Chopped on Food Network, after the sun sets on downtown Miami’s mega-shopping centre and lifestyle destination to savor samplings from their 10 carefully curated dining stations - including homemade ravioli, truffled pizza, caprese salad, salmon tartare, skirt steak, luscious tiramisu and more. Peruse their vast selection of artisan products as you sip on specially-selected wines from the Frescobaldi and Danzante portfolios and cocktails from Strega Liqueur. 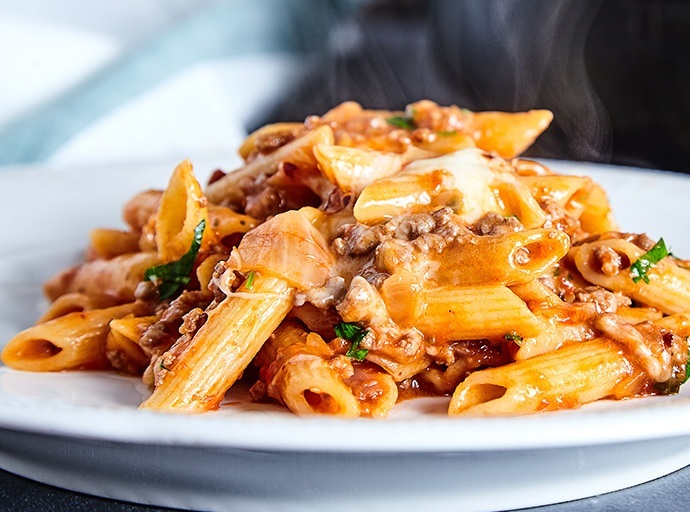 Whether you’re captivated by the fresh pastas, wood-burning oven and grill or luxurious charcuterie offerings, this is one late-night dining experience you won’t regret! Want to win your way in? Head over to our Instagram and enter our giveaway! Fan-favorite rockstar chef, restaurateur, Emmy Award-winning television personality and New York Times’ bestselling author Guy Fieri is no stranger to hosting the Festival’s most iconic barbecue celebrations, previously serving as host in 2012 and 2015. With all that experience under his belt, plus curating a featured barbecue area at Stagecoach this past year, he’s back on the beach with his signature high-energy style alongside captivating, live country-rock performances by GRAMMY® award-nominated artist Cassadee Pope and Lukas Nelson & Promise of the Real. Spend the night dancing, sipping and sampling as we celebrate the bright and vivacious Latin culture that runs deep throughout South Florida at the historic Biltmore Hotel in Coral Gables. South Florida darling Eileen Andrade, the talented chef behind West Kendall’s popular Finka Table + Tap restaurant, has rounded up some of her closest friends from around town and will lead the way as your host of this hyper-local affair, alongside Goya Executive Chef Fernando Desa - a man dedicated to preserving the flavors of Latin cuisine. Attendees will sip on carefully selected wines from 9 Lives Reserve and custom cocktails from Astral Tequila, Sombra Mezcal and Tito's Handmade Vodka - all while noshing on samplings of crispy and succulent swine-centric preparations.